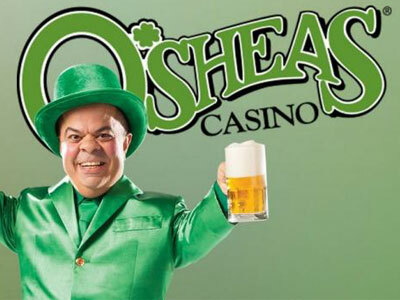 The newly reopened and renovated O’Sheas is an iconic spot on the Strip. The small, intimate atmosphere of an Irish pub coupled with table games, beer pong and a sports bar makes this a great spot to spend your evening. The upbeat music makes for a fun party atmosphere and the beer pong tables make for an entertaining time. Of course, $3 beer helps! By Vegas standards, the 5000 sq ft space is small, but it is filled with six beer pong tables, 11 table games and two bars with 50 different beers. Lucky the Leprechaun is always on hand to make sure you are having a good time. Enjoy live performances on their stage area. Enjoy Lucky Hour twice a day. Monday – Friday 10 am – 2 pm and 2 am – 6 am. I love o’sheas. Party 24/7, loud music and gambling. I go there every time I go to Vegas. If you’re Irish, this is very fitting for you! This place is fun. The location is prime, right in the middle of the strip. The bar is nice and you can play beer pong with friends which was fun. I recommend checking this one out. I was a little sketched out before when I visited O’shea’s, but it really wasn’t all too bad. They had some hot girls working there, which made it better.